Posted by Michelle on February 18th, 2017 . 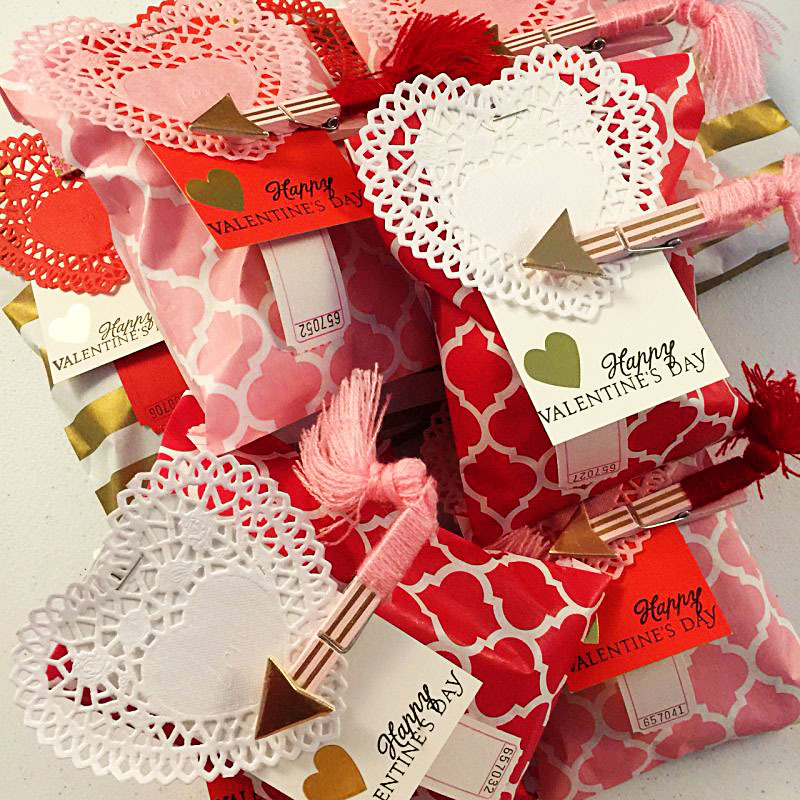 Filed under: Design Team Work, Gift Packaging, Happy Mail, Papertrey Ink, Valentine's Day, Whisker Graphics . 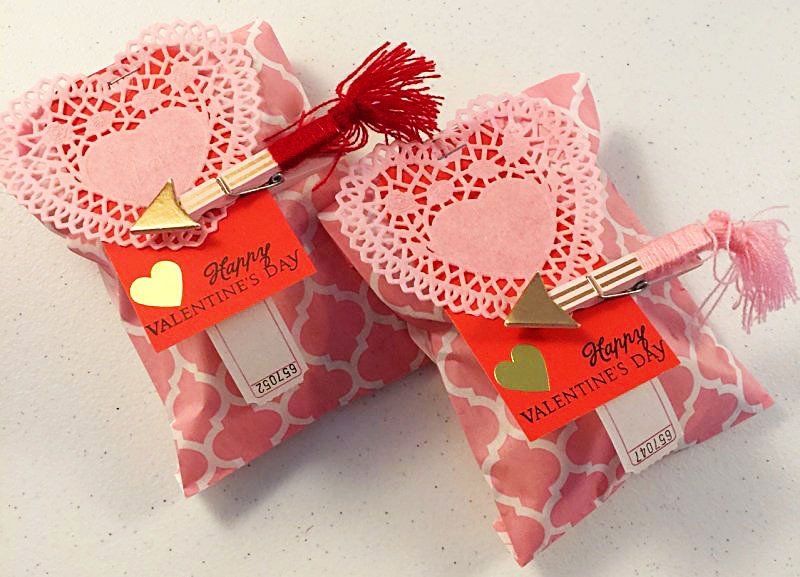 I’m back today with a little Valentine’s redeux. It’s still the month of love, so we’re good, right? 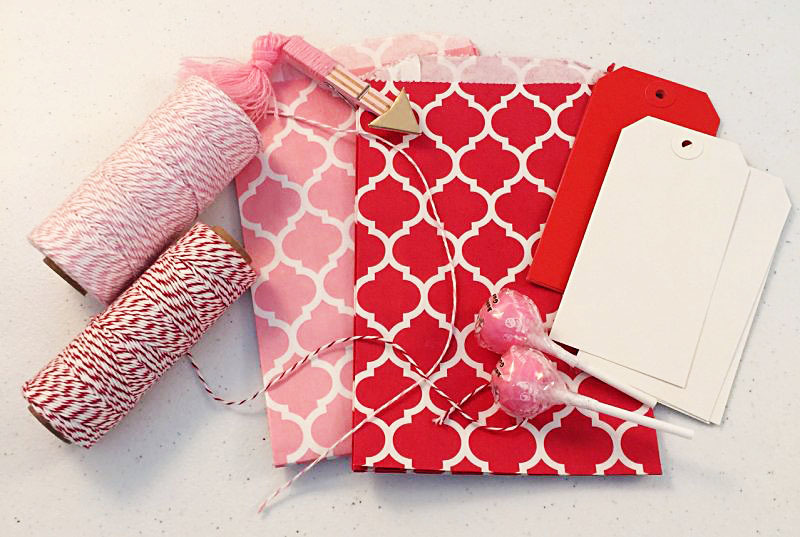 Happy Mail is my jam and this year’s Valentine Happy Mail was sent in these gorgeous Casablanca red and pink Bitty Bags from Whisker Graphics. 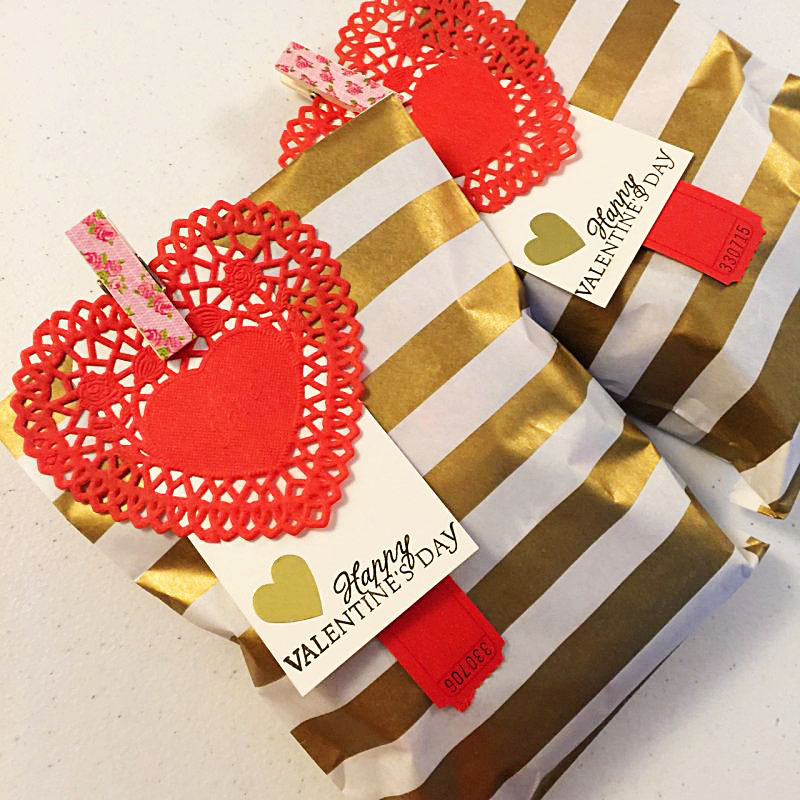 I stamped a little Valentine sentiment on these large colored tags and then finished them off with a little heart sticker. 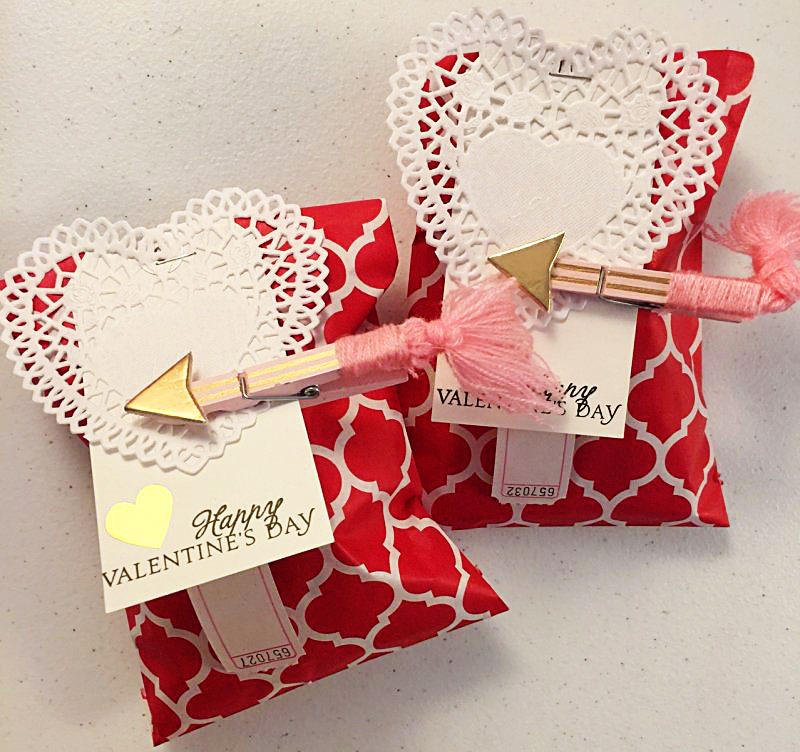 I had a couple of bigger Valentine packages to send, so I pulled out my favorite gold metallic Bigger Bitty Bags for those. I hope your month of LOVE has been super fabulous and that you’re feeling refreshed and happy as we head in to the spring! « New Year Happy Mail.